The Savage Love column had a running theme for awhile featuring letters where the writer lamented their terrible partner. His response was "why stay with such a person" which he abbreviated as DTMFA (Dump The M* F* Already). In "The song remains the same: DC's continued failures in cultural planning," and other writings I keep making a similar point, if you want to avoid displacement, if you think arts (and by extension interesting retail) uses are important, the local government, working with other partners, needs to step in and acquire buildings to maintain desirable cultural or retail uses. The piece listed a number of examples of failed or failing arts ventures. When the same kind of thing keeps happening over and over, it's an indicator that there is a problem with the system of supporting (or not) cultural resources more generally within the City of Washington. Have a capital acquisition and improvements fund to buy and maintain buildings. Without ownership of the buildings, in a market economy, cultural uses will be outbid, especially in high-value sub-markets. But there is no such fund or implementing organization in DC. The Pittsburgh Cultural Trust or the Playhouse Square Development Corporation in Cleveland are models for how to do it, but they don't operate at the scale of the entire city, which is what is needed in places like DC. Such a fund needs to be able to be proactive, innovative, and fast. I DO NOT UNDERSTAND why the leading locally-focused cultural organizations in DC don't advocate for building acquisition and the creation of a portfolio of cultural spaces owned by the city or a nonprofit development corporation in partnership with the local government. Such a fund presupposes the existence of a comprehensive cultural plan with sub-plans for neighborhoods/districts. In DC, there is no such plan. Create one. (Allegedly that's going to happen, but it's not like they're going to contact me.) This would put into place a process for dealing with preserving potential assets at both the city-wide and neighborhood scale. As examples of discipline-specific plans, cities like Austin, Chicago, and Seattle have master plans for the music industry. While New York City and Chicago do not have master plans for their theater industries, some planning documents have been produced. Neighborhood/sector culture plans. Besides the need for elements addressing city-wide arts institutions and specific artistic disciplines, city/county culture master plans need to include planning guidance at the sub-city level. Most neighborhoods lack the means to preserve and operate expensive cultural assets within them (one exception was how the Chevy Chase community came together to buy/revive the Avalon Theater, others are the Hill Center and the Capitol Hill Arts Workshop in Capitol Hill, and there are private unfunded community-oriented micro-facilities in Takoma--Electrik Maid, and Columbia Heights--Bloombar. Examples of failure at the neighborhood level include the Takoma Theatre, and the need for better guidance for dealing with projects as they come up, such as the "Brookland Arts Walk" project that is part of the Monroe Street Market. It's a cool project, but the spaces are all designed to support arts consumption, with little room for arts production besides prints and objects and crafts. 1. 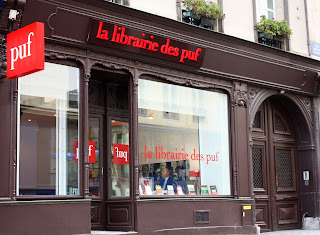 Bookstores/retail in Paris and how Paris has a program to BTMFBs. The New York Times has an article, "New Chapter for Classic Paris Bookstore: Books Printed on Demand," about the reopening of the Librairie des PUF bookstore, and how it doesn't carry a large inventory of books, but prints them on demand, using a Espresso book machine. Because it is owned by the major university press in France, it has access to a deep backlist of books and is positioned to develop similar relationships with other publishers. Interestingly, bookstores in NYC, such as McNally-Jackson already have the same machine and have been doing this since 2011, and the NYT has reported on it. The Latin Quarter, which has the highest concentration of bookshops in the city, was among the worst-hit areas. In an effort to protect the neighborhood’s unique character — and prevent so-called blandification — the Paris City Council in 2008 made it the center of its Vital'Quartier program. The program buys retail spaces across Paris, renovates them and rents them to small culturally significant enterprises at far below market rates. Les Puf was leased one of these spaces on Rue Monsieur-le-Prince, allowing it to reopen in March just a few blocks from where it closed. Missing the most significant take-away from the story: Paris VitalQuartier initiative and the organization, SEMAEST, charged to carry out the program. A lot of the urbanist-oriented media has picked up on the Times story from the standpoint of the "technology" element, acting as if what Les Puf is doing is new or even complete. For example, McNally-Jackson works with writers so that they can publish and print their own books. I bought their manual on how to do it years ago, inspired by the thought. What is the most interesting element disclosed in the story is the creation of the Vital'Quartier initiative in Paris where the SEMAEST community development corporation has been charged by the city to buy and hold real estate and rent it to desired retailers at sub-market prices. According to Next Paris ("Opération Vital'Quartier: pour le commerce de proximité à Paris!") so far the initiative has supported 372 businesses in more than 500,000 s.f. of space. That's a huge accomplishment. And the real lesson from the story. 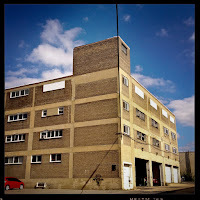 WAMU photo of the old General Typographers building. 2. Union Arts building: continued. One of the examples in the "Song remains the same" post was about how the old General Typographers building on New York Avenue abutting "Union Market" and renamed "Union Arts" a few years ago got bought by a developer for reuse as a boutique hotel with much better economic return ("Union Arts to become a boutique hotel with an arts program," Washington City Paper; "Is An Art-Focused Hotel The Answer To D.C.’s Artist Displacement Issues?," Kojo Nnamdi Radio Show, WAMU). WAMU reports ("This Time, It Was Quiet: Fight Over Union Arts Dissipates As Artists Negotiate Exit") that some of the artists will get relocation assistance, but the building will be redeveloped. Although as a sop to artists there will be a handful of artist studios in the new building (these are the kinds of projects that DC's Cultural Development Corporation occupies itself). 3. The Philadelphia Sculpture Gym has closed. As an example of the need for a standing fund able to act quickly to purchase buildings or to step in and facilitate the retention of desirable arts organizations and retail spaces there is the sad story of the Philadelphia Sculpture Gym. 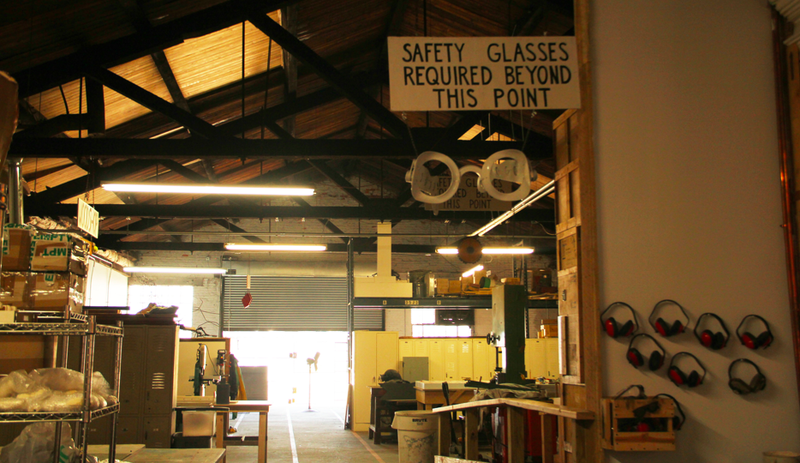 It was a really cool "maker space" with a number of different sections outfitted with high quality tools for woodworking, welding, ceramics, etc. that members can use to make art, furniture, etc. Seemingly, they had a great lease--ten years-- and paid very little rent, something like $4/s.f. It was a major anchor of the arts district developing on Frankford Avenue in the Fishtown neighborhood. But the property owner sold the building and because of changes in the group running the organization, and the difficulties that accompany a group still in the start up phase, they decided to dissolve, rather than try to buy the building or move to a different space and set up again. BTMFBA. Or facilitate the retention of cool organizations by helping them to relocate. The saddest element of the story is that all the great (analog) equipment that they acquired is being sold off piecemeal. I still don't understand why an overarching organization didn't step in to ward this off--although Philadelphia has a number of foundations and interest groups that could have responded, even on the accelerated timeline that was required. More cities, especially those with strong real estate markets, need the equivalent of an organization like SEMAEST. Conclusion: BTMFBA. Any other response pretty much ignores the reality of the problem. Create an arts focused community development corporation--in "The Howard and Lincoln Theatres: run them like the Pittsburgh Cultural Trust/Playhouse Square Cleveland model" I discussed examples and their relevance to DC to buy and hold buildings that support the creative function. Create a retail-focused community development corporation like SEMAEST to do the same thing for the retail sector. Unlike San Francisco, don't limit support to "legacy" businesses but open it up to old and new creative and interesting retailers of all types. Market buildings as shared retail spaces. However, to realize business opportunities in distressed commercial districts much more support may need to be provided. Some examples include the Midtown Global Exchange in Minneapolis, the Thai Town Marketplace initiative in Los Angeles, the Portland Mercado and the Food Building in Minneapolis. Each is an example of BTMFBA as a way to seed entrepreneurship and retail and business development. A way to "use up" a so-called "white elephant" buildings: multi-faceted arts centers. With deindustrialization, many communities have large manufacturing buildings that have been abandoned. In many instances, buildings and communities have been revived by redeveloping these buildings or complexes into multi-faceted arts centers. Examples include the creation of the MassMOCA contemporary arts museum in North Adams, Massachusetts, which has huge spaces capable of displaying very large art pieces and installations, the GoggleWorks in Reading, Pennsylvania, the Cablefactory in Helsinki, or LaFriche in Marseille, France. The Trans-Europe Halles organization is a collective of such arts facilities across Europe. In my opinion, DC should have done this with the old Walter Reed Medical Center building on Georgia Avenue in Northwest DC. The 2.1 million s.f. building could have seeded arts and cultural initiatives for a generation. Central libraries have the potential to become multi-faceted cultural centers. There are some examples of libraries sharing some of their space with related organizations. In the DC area, Arlington County expanded the Shirlington Library to include theater facilities, the Signature Theatre Company. Some Montreal neighborhood libraries include cultural centers. The provincial "state" library in Montreal has spaces on its back alley/court for small booksellers. The Hollywood library branch in Portland has a cafe on the ground floor and affordable housing above. The Drumbrae Library in England has a teen center, cafe, and day care. Some libraries have space for used bookstores. 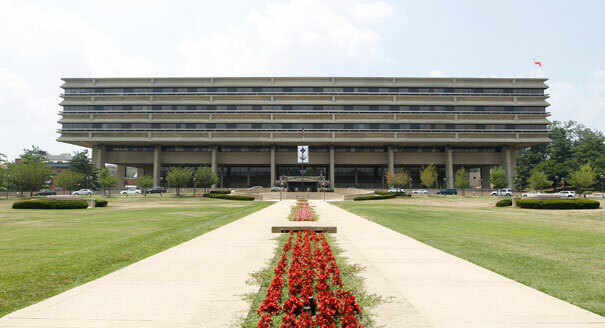 The best example is how the Salt Lake Central Library has space for related facilities such as the local NPR station and the Community Writing Center program of the local community college. I've suggested that libraries could expand upon the SLC example in significant ways ("Civic assets and mixed use: Central Library edition") but thus far it hasn't happened. Note that community center facilities could be similarly reconfigured to serve more and multiple uses. Photo: Leonard Ortiz, Orange County Register. Nonprofit shared spaces. The Nonprofit Centers Network is an organization that assists facilities across the country that offer shared spaces for nonprofit groups. 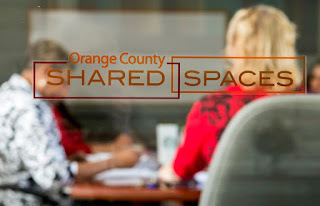 The Village in Orange County is one example, with a focus is providing space to housing-related organizations ("This Village is Orange County's first building dedicated to housing nonprofits," Orange County Register). More communities should work to develop spaces to support nonprofit groups as well as civil society initiatives (although neighborhood groups could be provided space/facilities access at community centers and branch libraries). Grant programs help, but aren't enough. Note that DC has a retail support grants and loans program, but it doesn't address situations of high or rapidly rising rents. The program has been criticized for providing support to areas that are already succeeding ("D.C.'s Great Streets Grant Program Helps Fund Restaurants," Washington City Paper). But I think that is a facile reading of the program. New businesses of all kinds need support to thrive. But in areas where rising rents aren't a problem, maybe grants and other aid is enough. Boston's Neighborhood Restaurant Initiative provides up to $75,000 to new restaurants aiming to opening in neighborhoods that have been identified as underserved. Another Boston program supports capital improvement projects for nonprofits. This Curbed NY piece maps 20 retail stores shuttered in part because of rent hikes. This story is about the closing of the New York Central Art Supply store in Manhattan, in part because the building was sold, but maybe also because the owners were ready to close. It's an illustration of a couple points, retail plans generally and a system of extraordinary means to buy and hold retail property outside of the traditional commercial real estate market. But also an illustration of my point that "plans", in this case, cultural plans, need to deal with facilities, not just for arts organizations, but the support institutions that may be for profit or not profit, that support arts as production, in this case art supplies and their resale. an issue too with for profits.